A package. delivered. It smiles at us. Mom, can we open it? No, wait. Can we see? I going to the moon right now! There’s more IN the box. I’m a do a wash.
Can I scoop in the new laundry detergent? Can I open the new toilet paper? No, I want to open it! You use the OLD one! I didn’t get to fly to Australia yet! — a hippo? — a pot? — a camera? — a martian coming to earth to eat us all? fifty-dollar fabric-lined hand-woven storage basket. 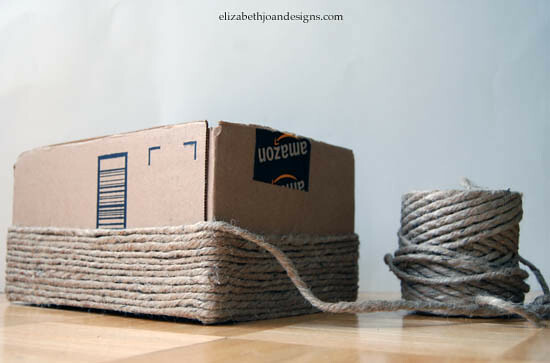 Want to use this box-to-basket idea? I found it at http://elizabethjoandesigns.com/boxes-baskets/ via Pinterest.